TMG’s 24 Under 24 Leaders In STEAM Awards: Get Nominated Now! The Mars Generation » Blog » STEM » TMG’s 24 Under 24 Leaders In STEAM Awards: Get Nominated Now! Around the world, students and young people are accomplishing amazing things in the fields of science, technology, engineering, arts, and math (STEAM). Such accomplishments are driving us towards a brighter future filled with ingenuity and advances in scientific enterprise. Often, we do not recognize students and young people for their work, or realize that indeed young individuals are changing the world and contributing in a real way to a better society. We aim to recognize some of these accomplishments with our annual 24 Under 24 Leaders and Innovators in STEAM and Space Awards. 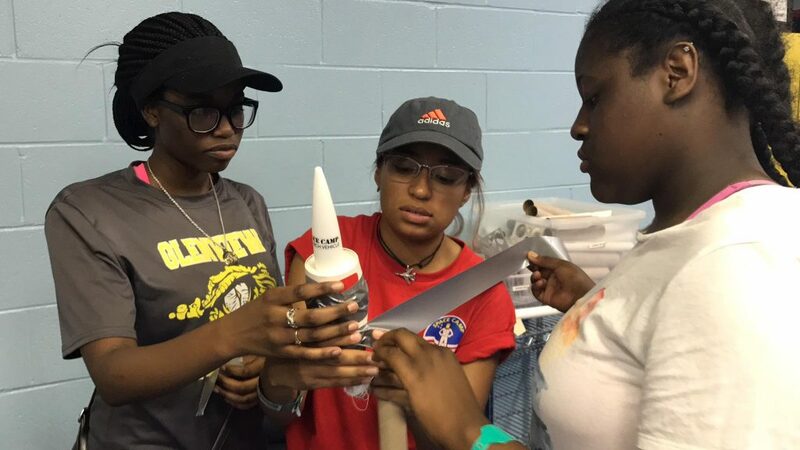 We are thrilled to be working with Aerojet Rocketdyne and United Launch Alliance (ULA) as sponsors of the awards. We are thankful for their support of the awards and helping to make this happen for all students! Hurry and get nominated and/or nominate student or young individual today to be considered for recognition by the TMG 24 Under 24 Leaders and Innovators in STEAM and Space Awards. stand out as an achievement on college applications, job resumes, LinkedIn profiles, and more. bring credibility and recognition to students and young people for future endeavors. distinguish talented young STEAM individuals and build credibility for future work. introduce young people to the professional world of STEAM, and connect them to like-minded people. spread the word about the young individual’s current projects, acting as an outreach tool to boost public interest. empower the recipient to inspire other students and young people with their story. Additionally, because of the recognition from the awards, young individuals are immediately linked to The Mars Generation community of STEAM and space supporters. With a support network that aims to motivate and push dreams even further, there is no limit to what a young leader may continue to accomplish. These accomplishments inspire others in similar positions to pursue their STEAM ambitions, creating a positive ripple of change. Students and young leaders, don’t hesitate to ask a mentor, advisor, teacher, or any other adult in your life to nominate you by filling out the form here. Your application will be strongest if it comes from a mentor, teacher or community member. The time to pursue your dreams and celebrate your hard-earned accomplishments is now! You don’t have to hope and wait to be discovered – being open about your triumphs and asking for recognition is a big part of success. Share the awards page and application link now with the adults in your life and ask them to nominate you today! Leveraging online tools as a way to become a young STEAM communicator and excite others about the world of STEAM. Combining art and technology in the form of 3D printing to model our world. Starting STEAM and space clubs at school to connect to peers with a common interest. Participating in science fairs around the world. Innovating with technology to change the world. Using art as a way to excite people about science and technology. Participating in robotics, STEAM and other competitions. Launching their own companies that advocate for STEAM education. Producing Youtube videos which inform the public about STEAM and space. Doing outreach such as reading to kids about STEAM subjects, speaking, writing for online publications and more! Do you want to see your accomplishments in science, technology, engineering, arts, and/or mathematics (STEAM) and space to be recognized? Encourage a trusted adult to nominate you today! 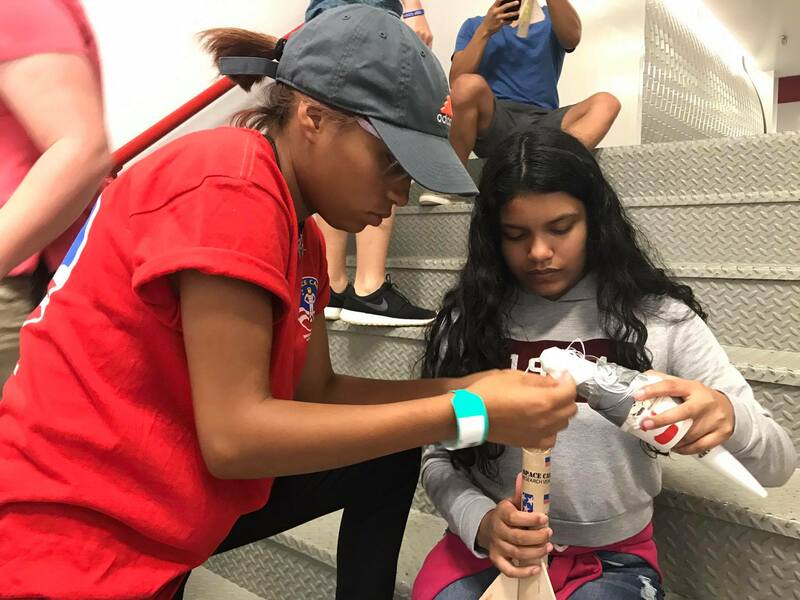 The 24 Under 24 Leaders and Innovators in STEAM and Space Award recipients will be announced in December 2017.